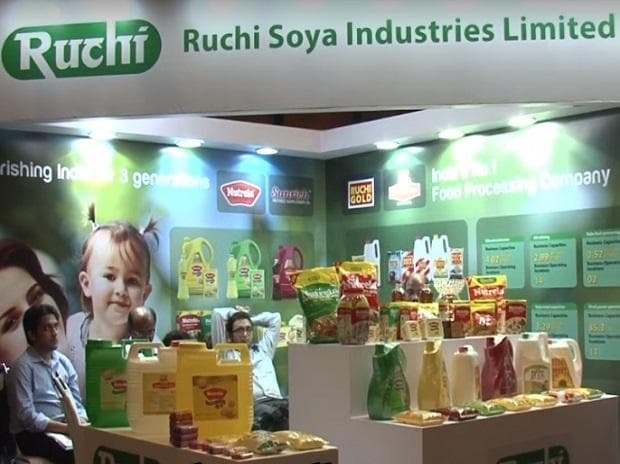 Crisis-hit Ruchi Soya, which is facing bankruptcy proceedings, on Monday reported a net profit of Rs 226 billion for the quarter ended June 30. Its net loss stood at Rs 2.86 billion in the year-ago period, according to a regulatory filing. Total income, however, dropped to Rs 29.92 billion during the first quarter of 2018-19 from Rs 32.80 billion in the corresponding period of the previous year. Finance cost declined to Rs 20 million from Rs 1.97 billion during the period under review. The company has not recognised interest payable worth nearly Rs 7 billion for the last financial year as well as the first quarter of this financial year. Adani has emerged as the highest bidder (H1) with an offer of about Rs 60 billion, while Patanjali's bid was worth around Rs 57 billion. After Adani Wilmar emerged as H1, Patanjali Ayurved sought clarification from the RP (resolution professional) of Ruchi Soya related to eligibility of Adani Group to participate in the bidding process. It also sought to know the parameters adopted by the RP to declare Adani Wilmar as the highest bidder. The Haridwar-based firm had questioned the appointment of Cyril Amarchand Mangaldas as the RP's legal advisor as the said law firm was already advising Adani Group. Patanjali was asked to submit a revised bid by June 16 to match or better the highest offer of Rs 60 billion by Adani Wilmar under the Swiss Challenge system adopted by the RP and the committee of creditors. Patanjali Ayurved already has a tie-up with Ruchi Soya for edible oil refining and packaging and it wants to further expand its cooking oil businesses. Ruchi Soya has a total debt of about Rs 120 billion. The company has many manufacturing plants and its leading brands include Nutrela, Mahakosh, Sunrich, Ruchi Star and Ruchi Gold. In December 2017, Ruchi Soya Industries entered into the Corporate Insolvency Resolution Process (CIRP) and Shailendra Ajmera was appointed as the RP.